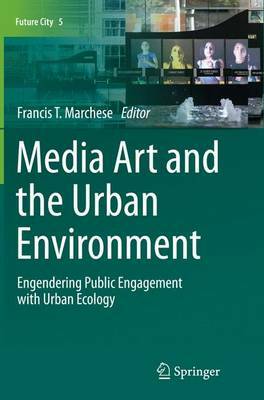 This text formally appraises the innovative ways new media artists engage urban ecology. Highlighting the role of artists as agents of technological change, the work reviews new modes of seeing, representing and connecting within the urban setting. The book describes how technology can be exploited in order to create artworks that transcend the technology's original purpose, thus expanding the language of environmental engagement whilst also demonstrating a clear understanding of the societal issues and values being addressed. Features: assesses how data from smart cities may be used to create artworks that can recast residents' understanding of urban space; examines transformations of urban space through the reimagining of urban information; discusses the engagement of urban residents with street art, including collaborative community art projects and public digital media installations; presents perspectives from a diverse range of practicing artists, architects, urban planners and critical theorists.